Broadway show, classical pieces and more! by completing a Voucher and paying at the Box Office on the day. Tony's insatiable interest in lighter music and a love of the majestic sound of the Wurlitzer Unit Orchestra (Theatre Organ) led to his "other" career, leading to his appointment in 1965 as the resident organist at Melbourne's then prestigious Regent Theatre. Tony made his first tour of the United States back in 1969, and has returned at least 30 plus times. He has performed at some of the most prestigious theatre organ venues in the U.S. including, the Oakland Paramount, the Ohio Theatre, Columbus, San Sylmar, the Sanfillipo residence, the Orpheum Phoenix, the Pasadena Civic Auditorium, Seattle Paramount with John Atwell, and at the Dickinson High School Kimball to mention a few. In 1999, Tony returned to his old stamping ground to be featured in the Inaugural Concert of the Regent Theatre Melbourne's new Wurlitzer Pipe Organ. This concert was an overwhelming success, drawing an unprecedented record attendance since the civic reopening of the Regent. In 2014 Tony returned to the Regent again with Richard Hills in presenting the “Tale of Two Organs” to a very appreciative audience of some 1,500 people from Melbourne and interstate. John Atwell receives repeat invitations to play concerts at theatre organ venues around Australia both as a solo performer, as well as in piano/organ duo combination with his long-time colleague and friend, Tony Fenelon. John has also taken his talents overseas on many occasions, playing performances in the USA, Canada, the United Kingdom Europe and New Zealand. John’s musical activities have not been limited to theatre organs. He is an experienced classical organist and pianist, having played many classical organ recitals, participated in concerts for the ‘All Stops Out’ series on the Melbourne Town Hall organ, ‘Music for the People’ at the Myer Music Bowl and Melbourne Town Hall, and ‘Carols by Candlelight’. In 2012 John accepted the invitation of the City Organist, Robert Ampt, to play a lunchtime performance on the Sydney Town Hall Grand Organ and was very well received by the large audience. 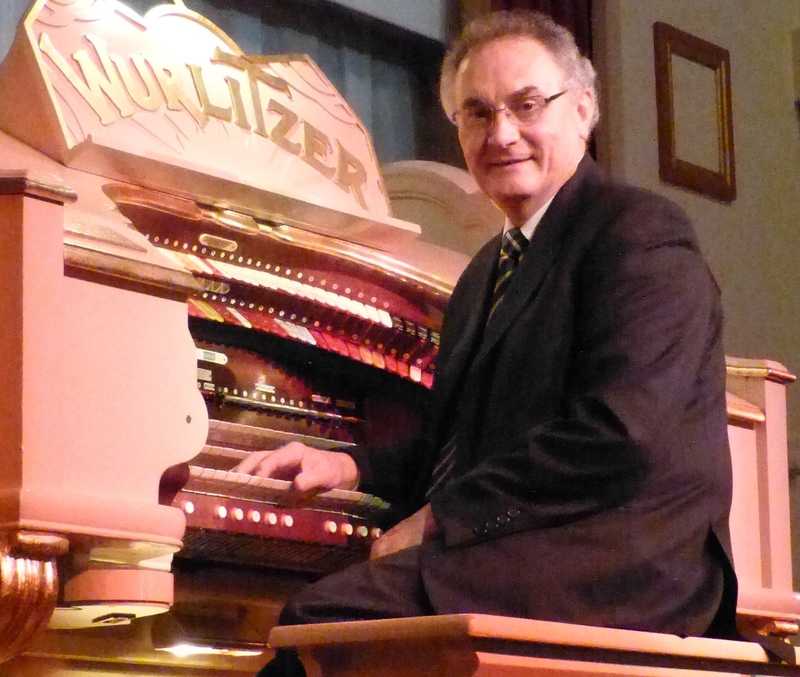 John has performed overseas on many occasions in recent years playing theatre organ in Europe, the UK and USA. Make a date to come and enjoy two of Australia's outstanding keyboard musicians. The Orion Centre is located at 155 Beamish Street, Campsie. Disabled access is available at the Beamish Street entrance. 400 from Burwood Station, Bexley North Station and Rockdale Station. 492 and 494 from Rockdale Station and Kingsgrove Station. Exit station on to Beamish Street, turn left to traffic lights, cross Beamish Street to the opposite corner (hotel). Turn left and walk down to the Orion Centre on your right. Free parking is accessed from Shakespeare Street via Clissold Parade from Beamish Street or Brighton Avenue.